Following the huge success of the 2013 Dig Deep Race weekend, which was held at Whirlow Hall Farm earlier this year, Event Organisers Eight Point Two are excited to announce that the 2014 event will be held on the 21st and 22nd June. The Dig Deep weekend has earned its place as one of the most highly anticipated race weekends in the UK trail and ultra-running community, with its comprehensive set of races and activities to suit all abilities. With four main races over the weekend, including the Ultra Tour of the Peak District – a brutal but stunning 60 mile course showcasing the best of Peak District trails – to the Whirlow 10k Trail Challenge. Sponsorship for 2014 has already been finalised and race organiser Ian loombe announced, “We’re delighted to have Mammut as our principal sponsor, with Injinji and Ultimate Direction heavily involved as well. Clif will once again provide the nutrition for the race and Outside will be providing some great retail opportunities giving us a very respectable sponsor package”. The 2013 event received great feedback, with the goody bags in particular proving to being very popular! Campers were given an overnight bag, which included earplugs, travel pillows and a Mammut cuddly toy. Over the weekend over £1,000 worth of Clif and Injiji freebies and goodies were given out as spot prizes! The 2014 event is going to expand on the success of the 2013 event and bring in even more activities for families and kids, to truly make it a weekend for everyone. ‘Blue Ribbon’ junior races will be included as well as a range of running related talks, demonstrations and activities. Camping will again be available on site along with produce from Whirlow Hall Farm and local breweries. 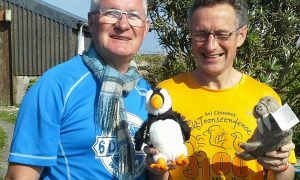 There are 3 training days planned for Spring/Summer 2014 culminating in a repeat of the 2013 ULTRA TALK day with informative lectures from race organisers Ian Loombe and David Taylor and the super experienced ULTRA running duo of Marcus Scotney and Mark Barnes. The four main races of the weekend are: The 60-mile UTPD and the 30-mile Intro Ultra, a 12.12-mile and a 10k. The main race of the weekend is the UTPD a breath-takingly hilly route through the very best trails The Peak District has to offer. 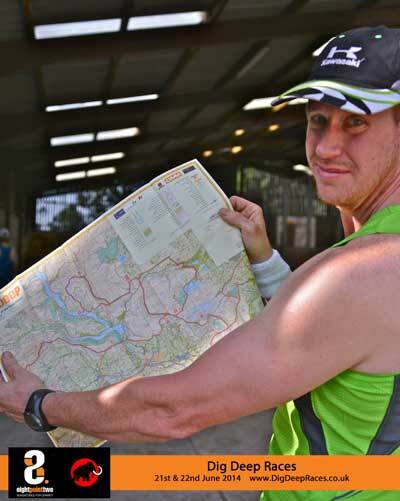 Marcus Scotney, (winner of UTPD 2012) said, “the UTPD took me a full hour longer than I had expected… it’s a tough route and not one to be underestimated”. The new website www.digdeepraces.co.uk will be launched in early October 2013 with bookings available from the 1st November 2013.